Read this book. Or I'll kill you. Parker's back in jail, but not just any old jail; it's the correctional center, where people without bail wait before and during their trial. So Parker's first order of business is to build a network among these cons and break on through to the other side. Once out, he gets involved in a heist set up by one of his co-conspirators, but the deal heads south, and Parker and his fellow escapees are running for their lives. 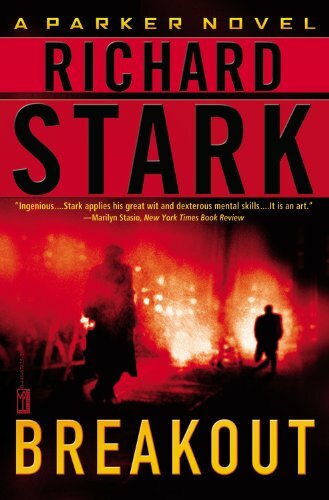 Richard Stark is tough as nails - the hardest of hardboiled. His novels are brutal. Violent. I started reading Stark's books back in the mid-70s, when I was just a kid. For a while my three favorite crime writers were tough guy Stark, comedy caper writer Don Westlake, and introspective private eye writer Tucker Coe. By the early 80s it was revealed that all three were the same guy! The Stark/Westlake connection became the basis for Stephen King's THE DARK HALF... and his inspiration to become Richard Bachman. Stark novels are not for wimps... you've been warned! BUY THIS BOOK! This is one of my favorite novels of all time. Ross Thomas wrote the way I think, and my writing is completely influenced by his work. His books are filled with amazing plot twists, unusual characters, and they're funny. Thomas was a favorite of critics and his fellow crime fiction writers (he was an MWA Grand Master)... but he never had a big breakthrough best seller. FOOLS is his best work - an epic crime novel about a fellow named Lucifer Dye who (as a child) lived through the bombing of Shanghai during WW2, became a Japanese prisoner of war, and eventually became a CIA agent... fired in disgrace when a mission goes wrong. Dye ends up taking a job in politics - as a scape goat! His job is to corrupt a city so that the reform candidate will win an election. But nothing goes as planned and everything gets much, much worse. (My paperback copy of the book was printed in 1972! I discovered Ross Thomas when I was a kid! I had the pleasure of meeting him several times, had a couple of long conversations with him, and have a bunch of autographed books. He passed away a few years back.) FOOLS is a great place to start with Thomas - funny, thrilling, and twisty. BUY THIS BOOK! 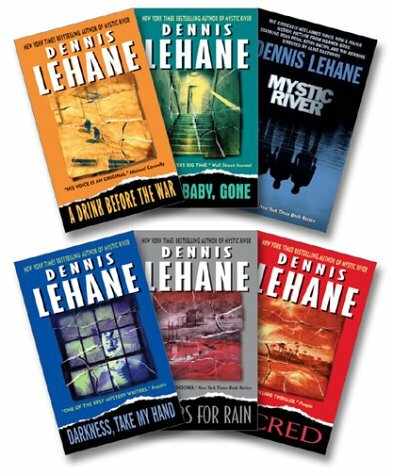 THE DENNIS LEHANE COLLECTION by Dennis Lehane. You've seen MYSTIC RIVER, but the book is better than the movie... and Lehane's other books are even better than MYSTIC RIVER! My friend Bill Jones told me about Lehane, so I picked up A DRINK BEFORE THE WAR and was blown away. Lehane has taken the private eye novel and turned it into literary fiction. His books are more character oriented than most character oriented fiction. Every mystery brings detective Patrick Kenzie back to himself and his own problems. Kenzie lives and works in the neighborhood he grew up in (blue collar south Boston) and every mystery takes him back to his past... and his past sins. A Six-Book Set (A Drink Before the War; Darkness, Take My Hand; Sacred; Gone, Baby, Gone; Prayers for Rain; Mystic River) BUY THESE BOOKS!